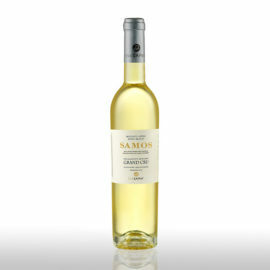 It is produced by the United Winemaking Agricultural Cooperative of Samos with the blessing of the Metropolis of Samos and Ikaria for the celebration of the Holy Eucharist. It comes from varieties of red and white Muscat. It is red and from its rich body aromas of muscat are emerging, dried fruits, honey, wax and incense because of its aging. Ιts taste is soft and long lasting. 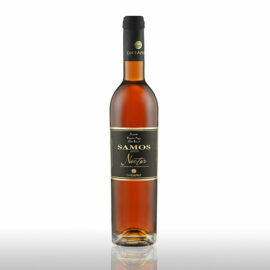 It is produced by the United Winemaking Agricultural Cooperative of Samos with the blessing of the Metropolis of Samos and Ikaria for the celebration of the Holy Eucharist. 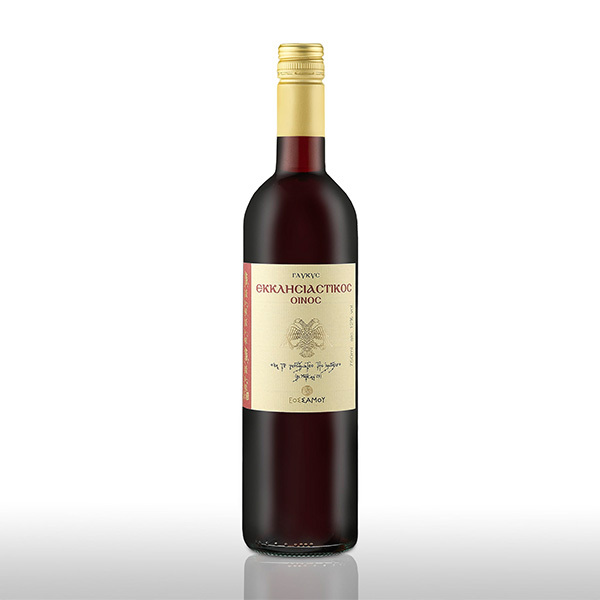 It comes from varieties of red and white Muscat. Its velvety flavor, its purple color and fruity aroma, the quality in its simplicity and its purity, its clean and soft texture make it ideal for the sanctity of its use. It is red and from its rich body aromas of muscat are emerging, dried fruits, honey, wax and incense because of its aging. Ιts taste is soft and long lasting. 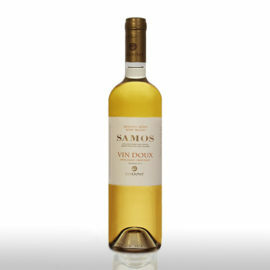 The mouth is fairly sweet balancing between aging aromas and dried fruit.